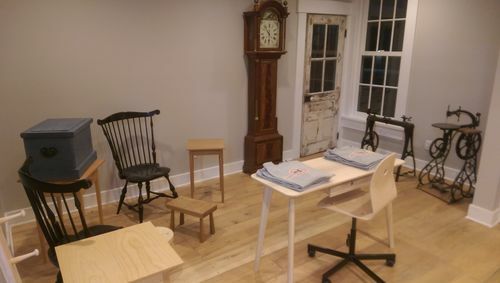 I wanted to let everyone know about my experience at the Little Miami Handworks School, just outside of Dayton Ohio in the small town of Bellbrook. Because I think this is a world class hand tool woodworking school that deserves to have all the students they can hold. 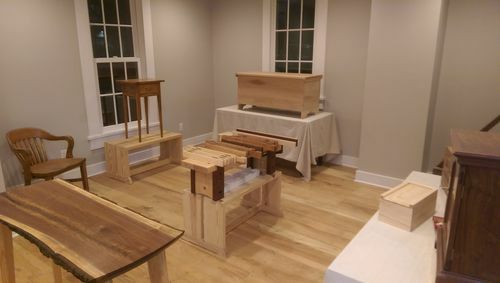 I forget how I had stumbled across their website initially, but I was surprised to learn of a hand tool focused woodworking school within 15 min of my house. I had previously attended the Marc Adams woodworking school, and the primarily power tool class was a fantastic learning experience for my early woodworking skills. But since I focus primarily with hand tools, I could only dream of having a class taught by Roy Underhill, Christopher Schwarz, or any of the other teachers and writers I have seen online. But with this school, there is an alternative and even in some regards a better experience. First, for woodworkers from Cincinnati to Columbus, the ability to attend a woodworking class within driving distance is an immense benefit. Being able to attend classes without having to commit overnight or weeklong trips enables us to take more classes while spending time with family at home. It is a balance that yields dividends while continuing to grow our abilities. 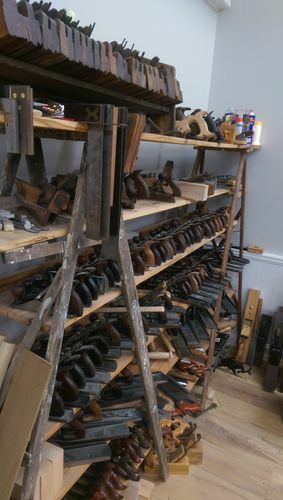 Secondly, the school and their tools are a treasure trove for hand tool enthusiasts. The building itself has a small entrance room and a single large classroom, with high ceilings, tall windows, and a beautiful wooden floor. The historic building was, at various times, a meeting hall, a one-room school, and a church, and it exudes an old world feel that is only enhanced by the sounds of sawing and chopping from the dozen benches. These benches are all slightly different, allowing students to try different styles and vices. And to complete the experience is the wide array of hand tools that students are allowed to experiment with different skills and methods, trying wooden and metal planes, old and new saws, and everything in between. But the real advantage this school offers is the many teachers that come and give their time and skills to the students. Whether you want to practice a single skill like sharpening, pick up a complement of skills such as joinery, or build a whole project such as a Hepplewhite side table, there are different classes for all skill levels. The small classes allow each student to learn closely from the instructors, and learn nuances to expand their craft. The instructors are friendly and engaging, and excited to share their knowledge. I fully recommend anyone to take the time and have a class from Dwight or one of the other instructors. This school is an incredible resource, and I pray they continue to draw in students and teach these hand skills for a long, long time. Here are some more pictures I took around the classroom. There was so much to take in, I kept noticing details throughout the week class. And this is the front showroom, with windows to the main street. Here some of the projects the students work on are showcased, to inspire and draw people in. Reminds me of when I stumbled across Inside Passage, stopped for lunch took the dog out back and there it was in the back court yard. I can honestly say that day changed my life! I was lucky enough to have my parents living in the area. The classes are 10 weeks long but the first session can be split up into separate 1 week courses. Probably not for everyone, follows James Krenov ideology and for an old Redneck like me was culture shock in the beginning! I won’t mention the West Coast Beauty as it’s kind of a local secret! I just read about Inside Passage in the latest edition (June 2017) of Popular Woodworking magazine. That would be fantastic to attend one (or all) of their sessions. At least for me, the education aspect of woodworking has changed as I’ve gotten more into it. In the beginning, it was mostly reading blogs and magazines, and later watching videos to learn a specific skill or project. 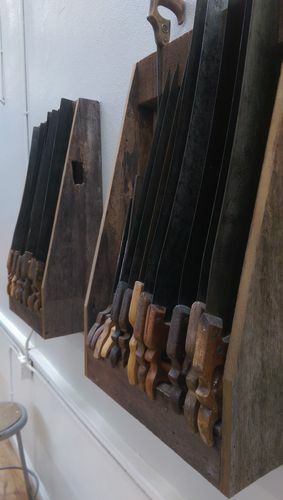 It wasn’t until later that I learned that dedicated woodworking schools existed, and I highly recommend people to seek out and take classes, because it allows concentrated growth and the passage of skills, often times in wonderful environment and with friendly people. Awesome! I live in the Dayton area and have been looking for a place like this. Thanks. Definitely Gman, I don’t live very far from the school, so I’m glad I stumbled across it! I live in Cindy and seriously considering this. The basic class sounded less like formal instruction and more like allowing students to experiment with an assortment of hand tools. Sounds more like something for people who already have experience and working knowledge of hand woodworking tool basics rather than a total novice like me. Is that how it is or more structured instruction? AM420, from my experience it would be a great experience no matter what your experience is. The three basic classes teach different things (joints, operations, sharpening), but they would be accessible for a novice or someone who has some skills already completed. If you’ve never picked up a hand tool, they’ll show you the proper points of every operation, and make sure you get things right. If you know some stuff, then they’ll show you the instruction and let you work, correcting and guiding where necessary. The amount of “structure” depends upon your level and the class size, of course, but I would encourage you to seek it out if you have the time. Being able to experiment with different tools is definitely a positive, so when you’re ready to get your own you know “I like that Lie-Neilsen saw” or “A Stanley 77 would be great”. But I wouldn’t say that’s the primary purpose. If you just used one saw and one plane for the entire course, then you’d still get a ton of information out of it.